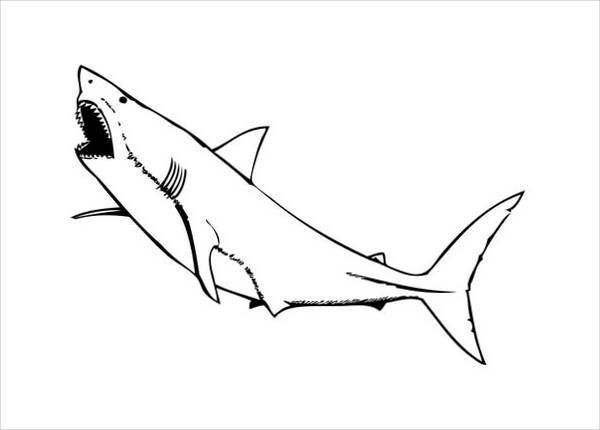 Sharks are one of the toughest, and probably what we’d consider as fear-inducing creatures. 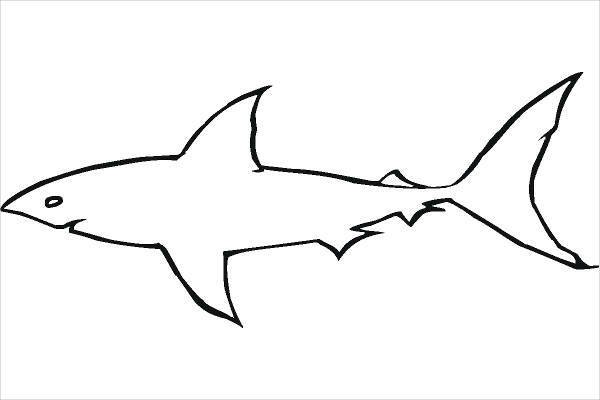 This humongous creature lurking in the ocean is a perfect subject for kids to color, not to imprint fear on them, but to educate them about the wonders of the ocean kingdom. 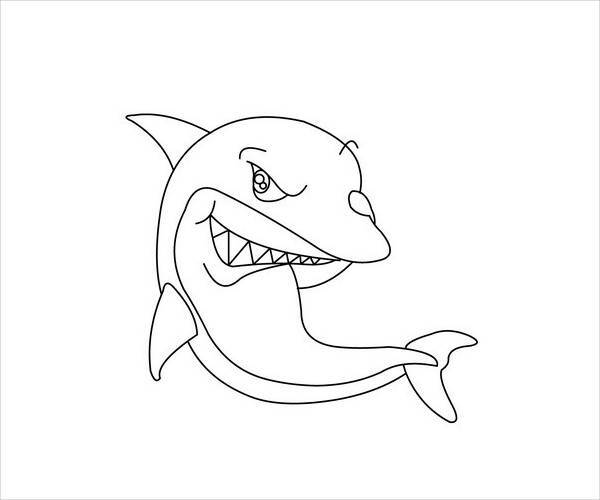 Prepare for some amazing coloring illustrations from our shark coloring pages to have your kids color and learn. These coloring page files are in JPG and Ai Illustrator for easy saving on your desktop and rescaling for print. So, don’t forget to download your chosen pages. 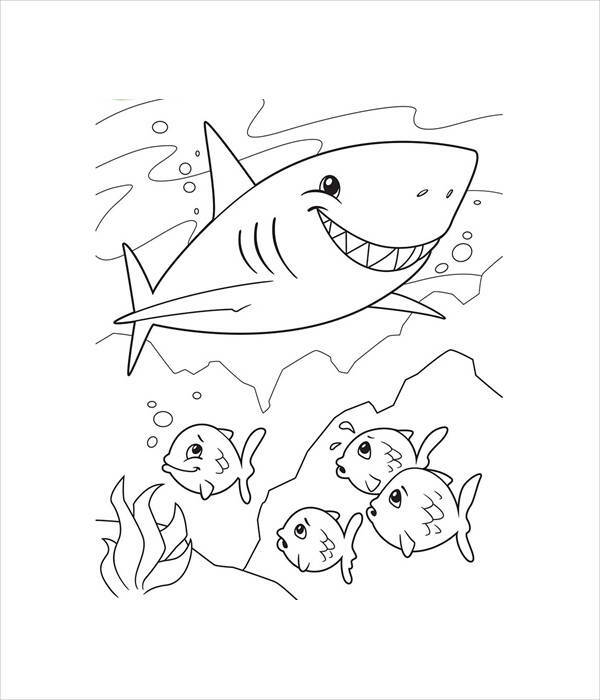 You can also give our Free Printable Coloring Pages listing a trial if you wish. 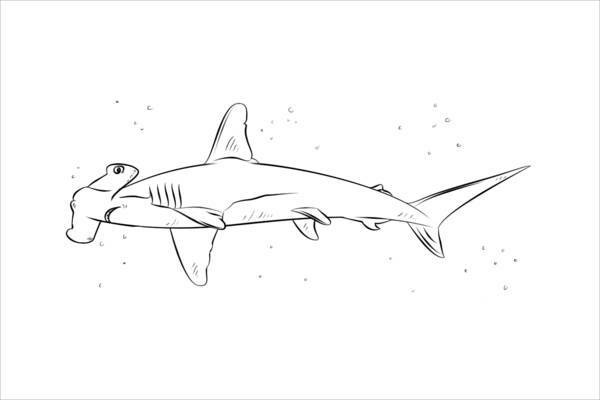 The hammerhead shark can grow up to 20 feet. This creature is unlikely to attack people but still considered dangerous due to its predatory nature and size. 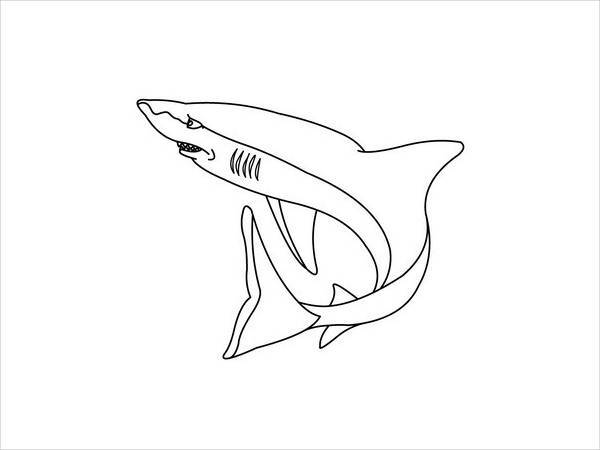 Have your kids color this mighty and huge creature with the “Hammerhead Shark Coloring Page” and teach them a thing or two about it. Bull sharks are known as the third most dangerous shark. 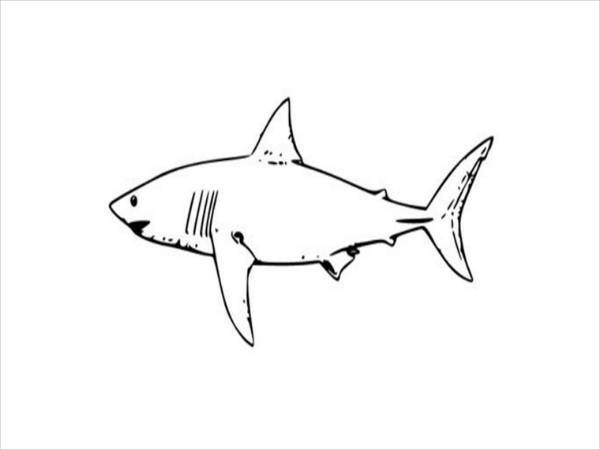 This creature is one of the 43 shark species that can live and swim in both salt and fresh water. 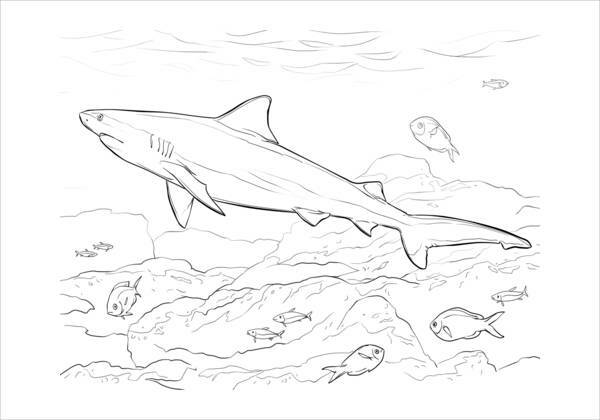 Have your kids color in awe with the “Bull Shark Coloring Page”. 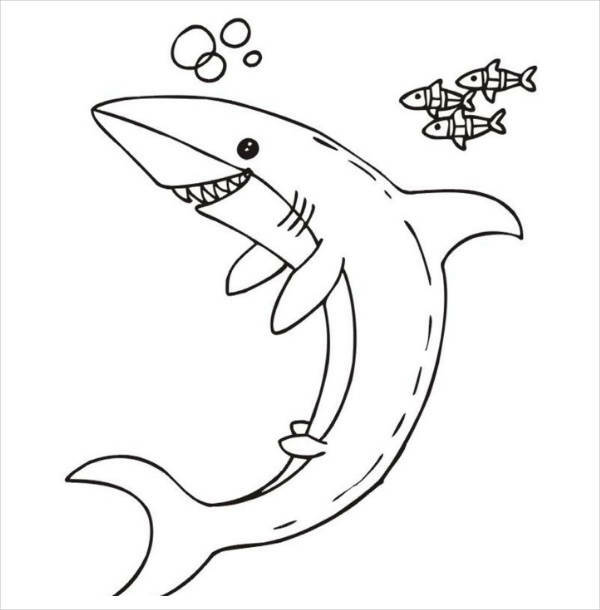 Instead of introducing this creature to be a fearsome kind, introduce the “Happy Shark Coloring Page” which shows a happy smiling version of a shark. 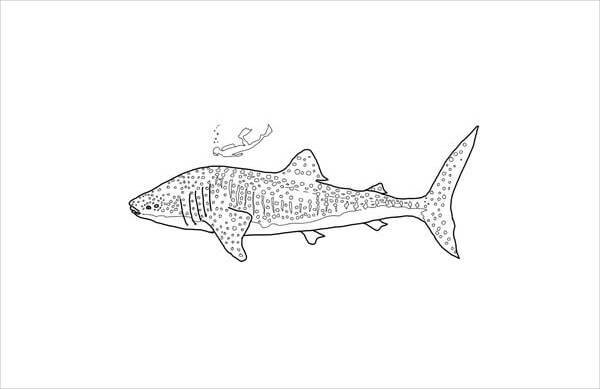 The whale shark which is illustrated in the “Whale Shark Coloring Page” is known to be the biggest shark and considered as the biggest fish.This type can grow up to 45feet long and can weight up to 30,000 pounds but averages about 25 feet long. This activity is the simplest physical-mental activity a preschooler can do. Sure there are other toys that are closely similar to it, but coloring as an activity is slightly different, it stimulates their imagination and creativity, and the fact that it brings happy memories, is already a big thing. This activity has been proven to ease minds. Even as adults, we need to engage ourselves in activities that can help alleviate our stress as we know that stress is toxic and the primarily one of the leading causes of chronic degenerative diseases. With the help of this activity, a child or even you can enjoy its stress-free benefit. The reward system is not as bad as you think when practiced correctly. When a child finishes a certain activity, complement their work or give them a treat as a reward. This way, the child will learn the value of their hard work and they will be motivated even more to get better. With this, they’d feel confident and won’t be so fearful of the next possible challenges. As for adults, if you’d love to join your kids to bond with them and de-stress at the same time, you can print your own coloring pages from our Abstract Coloring Pages listing which contains details that can really divert your mind from all the stressful events you’ve encountered. So, have you chosen the pages that you’re considering to print and have your child color? Then, procrastinate no more! Download your faves while you‘re still at it and make your kids enjoy them all!